February 30, a new bar located at Oshiwara, Andheri, promises you ‘unreal times’. The joint offers an exotic twist to your usual dining experience without compromising on the delicious flavours and fantastic vibes. 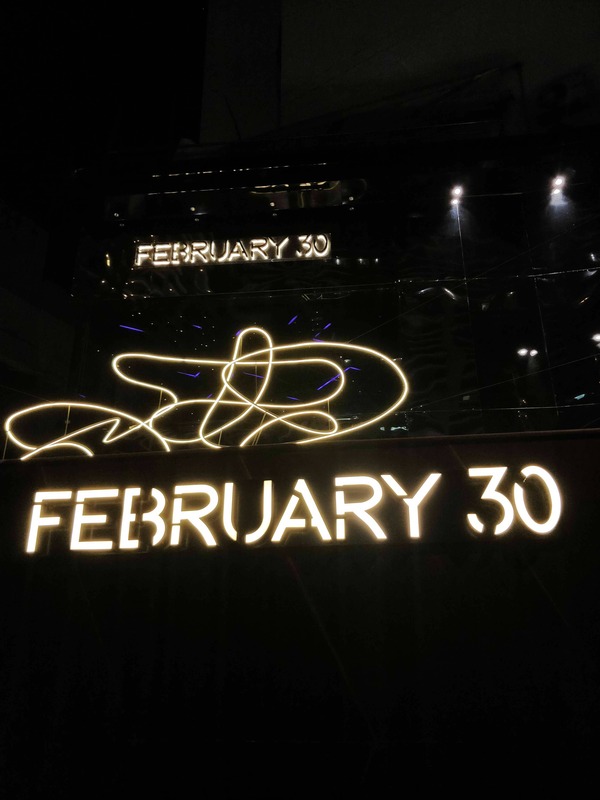 February 30 is divided into an indoor section and an outdoor area. The indoor section radiates a magnificent aura with unmatched elegant design. The outdoor section has a simpler look and feel and yet provides comfortable albeit beautiful seating booths amidst the breeze. From vegetarian and non-vegetarian treats to Jain, Vegan, Keto, and Gluten Free variations of dishes, the all-encompassing menu has a lot to offer for each and every one. For starters, the ‘Amuse-Bouche’ –– a three bite bar bites menu –– contains an incredible variety of Indian and western small bites. From everyone’s roadside favourite Chana Garam, to Indian delicacies like Lucknowi Tandoori and Kondapuri Prawns, to Middle-Eastern treats like the Mezze Platter and Lebanese Batata Hara, to Western fare like Las Vegas Tikka and the ‘Dinosaur’s Eggs’ (Cream cheese stuffed eggs coated with spicy chicken kheema, served with parmesan fondue), there’s a splendid assortment of dishes. For mains, fusion food is a recurring theme, with dishes like Peri-Peri Kukad Biryani, Chipotle Paneer, Portobello Matar Malai, and Cajun Murg Methi guaranteeing a party in your mouth. Apart from the Indian dishes, there are also sections for Salads, Sumerian Pizzas, Oriental food (Nasi Goreng, Pad Krapow, Mongolian Conji Lamb), and Western food (Pollo Amatriciana, Pomodoro, Mexichino) as well. February 30 boasts a fantastic curation of cocktails on the menu which is sure to brew you a fantastic time. Some of our favourites include Phantasm, Doctor Strange, Mind Freak, Pie In The Sky, and The Illusionist Potion, and each drink is more unique and more delicious than the next.